Uncategorized Archives | Ailing House Pest Management, Inc.
Termite Pest Fumigation – Guaranteed lowest price. Actively serving parts of Monterey County. Termite Pest Fumigation – Don’t take chances…call us with your questions. With decades of experience treating termite infestations, Ailing House Pest Management, Inc. is the right choice for termite control. We are proud to offer the most advanced technology and industry-leading preventative and corrective treatments. Contact us today to schedule a termite inspection for your home or business. We offer limited, complete estimates, and any competitive bids that you may request for either your home or commercial property. To serve you better… we have moved. Larger Office & Better Parking. Just one block from our old location. To serve you better, we are proud to announce that we have moved our business to a new location with a much larger office space and better parking options. Just one block away from our old address. We have enjoyed doing business with you and appreciate your support. We hope you will get acquainted with our new office soon. Oh yes, our phone number is the same: 831-624-8211. Make sure you have all the facts – Get them with Your Free Termite, Beetle or Insect Fumigation Bid Today! We come to you for no extra charge! Ailing House Pest Management, Inc. is a family-owned and operated termite, beetle and insect fumigation company serving Monterey County with over 100 years of combined, trusted experience. Homeowners know there are a lot of outside forces that could cause major damage to their home, but few are more damaging than termites. More than 100 years of combined experience, Ailing House Pest Management, Inc. has provided superior fumigation treatments, offering both residential and commercial pest management solutions. If you are worried that your home has been infested by termites, beetles or insects, call our fumigation control company today at (831) 624-8211. One of our licensed inspectors will complete a free fumigation bid. Upon completion of inspection, you will receive a detailed report stating all findings, as well as recommendations and pricing of our fumigation tenting services. Or you can fill out the form below and we’ll get back to you within 24 hours. We are a leading termite control company in Monterey County, CA providing expert termite extermination services. 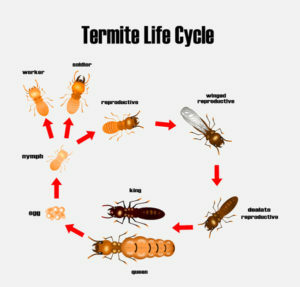 Our termite treatments have a warranty, so contact us today at (831) 624-8211 and see how we can protect one of your most valuable investments. Because you need to protect your investment, it’s imperative to keep an eye out for the signs and see if you need termite control in your Monterey property. Licensed, “stream-lined” fumigation process for your home or commercial property. If you notice any of these termite warning signs in your home or business, please don’t hesitate to contact us at (831) 624-8211 for a free fumigation bid to carefully detect the infested areas. Our licensed exterminator will provide recommendations and effective treatments to exterminate the termites. Our goal is to provide complete customer satisfaction. Keep your home and family safe, and hire our experts to get rid of those pesky termites today. Prevention is key to protecting your Monterey County home from termite infestations. Early discovery by having an annual termite inspection is a smart step that may you save thousands of dollars of home termite damage if left undetected. Tailored to your needs…we utilize all the latest in termite treatment technology. Our treatments are very effective in eradicating termites from your home. With decades of experience treating termite infestations, Ailing House Pest Management, Inc. is the right choice for termite control. We are proud to offer the most advanced technology and industry-leading preventative and corrective treatments. 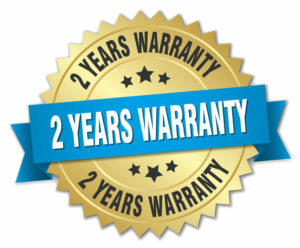 We also have a 2-year warranty on full structure fumigation treatments to ensure customer satisfaction. Schedule a free fumigation bid today. We believe our experience, expertise, and dedication are the secret to our success and the reason to make us your choice for pest management. 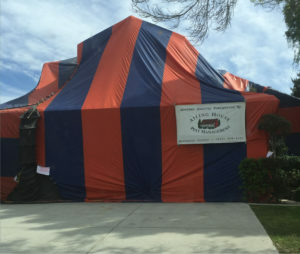 Call us for a free fumigation bid at (831) 624-8211. Your satisfaction is our top priority. We guarantee every service large or small. Our team of exterminators will treat you, your family, and your property with courtesy and respect. Don’t let termites, beetles, or any insects take over your home or business. Make sure you have all the facts – Get them with Your Free Ant Inspection Today! Ailing House Pest Management, Inc. is a local, family-owned and operated licensed pest control company with over 100 years of combined experience. We provide ant control services and offer free inspections in Carmel, CA and surrounding areas. 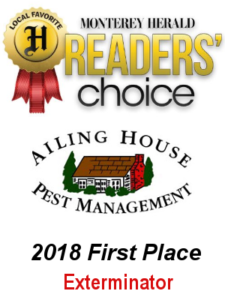 Ailing House Pest Management, Inc. is a family-owned and operated pest control company for ants and many other types of pests, serving Monterey with over 100 years of combined, trusted experience. More than 100 years of combined experience, Ailing House Pest Management, Inc. has provided superior ant control offering both residential and commercial pest management solutions. 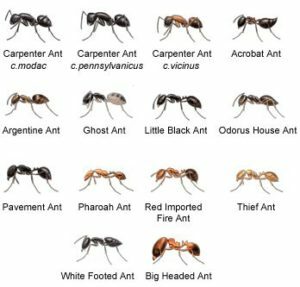 If you are worried that your home has and ant problem, or could have one, call our ant control company today at (831) 609-4141. One of our licensed inspectors will complete a free limited inspection. Upon completion of inspection, you will receive a detailed report stating all findings, as well as recommendations and pricing of our ant pest control services. Make sure you have all the facts – Get them with Your Free Rodent Inspection Today! We provide rat, mice, rodent control services and offer free inspections in Carmel, CA and surrounding areas. 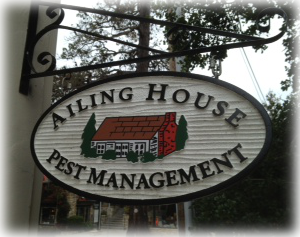 Ailing House Pest Management, Inc. is a family-owned and operated pest control company serving Carmel, CA and the surrounding area with over 100 years of combined, trusted experience. Carmel homeowners know there are a lot of outside forces that could cause major damage to their home, but few are more dangerous than rats (rats and their fleas can carry disease). More than 100 years of combined experience, Ailing House Pest Management, Inc. has provided superior rat and mice extermination services offering both residential and commercial pest management solutions. If you are worried that your home or business needs a rodent inspection, call our rodent control company today at (831) 624-8211. One of our licensed inspectors will complete a free inspection. Upon completion of inspection, you will receive a detailed report stating all findings, as well as recommendations and pricing of our rodent pest control services. We are a leading rodent control company in Carmel, California and surrounding areas providing expert rodent extermination services. A home is one of a person’s largest investment, and the last thing you need is to have it devalued by rodents. These destructive pests can cause damage to a home or business, and could also carry with them potentially harmful diseases. Signs of rat presence are droppings, gnawing, tracks, runways and burrows. These are just a few tell-tale signs. If you’re still not sure, call to schedule a FREE rodent inspection. Licensed rodent exterminators for your Carmel home or business. 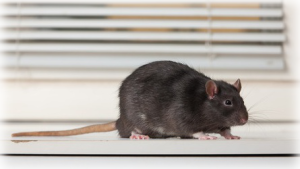 If you notice any of these rodent warning signs in your home or business, please don’t hesitate to contact us at (831) 624-8211 for a free home inspection to carefully detect the infested areas. Our licensed exterminator will provide recommendations and effective treatments to exterminate the rodents. Our goal is to provide complete customer satisfaction. Keep your home and family safe, and hire our experts to get rid of those pesky rodents today. Prevention is key to protecting your Carmel, CA home from rodent infestations. Early discovery by having an annual rodent inspection is a smart step that may have you save thousands of dollars of property rodent damage if left undetected. Tailored to your needs…we utilize all the latest in rodent treatment technology. Our treatments are very effective in eradicating rodents from your property. With decades of experience treating rodent infestations, Ailing House Pest Management, Inc. is the right choice for rodent control. We are proud to offer some of the most advanced technology and industry-leading preventative and corrective treatment methods. Schedule a free limited rodent inspection today. Call us for a free inspection at (831) 624-8211. Your satisfaction is our top priority. Our team of rodent exterminators will treat you, your family, and your property with courtesy and respect. Don’t let rodents take over your Carmel home or business. The presence of California Oakworms in oak trees in the areas along the coast and throughout the coastal mountains of California is a major nuisance and in order to protect against these obnoxious creatures, it is essential to use the services of a trusted and proficient California oakworm inspection service. The presence of California oakworms can destroy the leaf surface of native oaks (Quercus agrifolia) or even chew all the way through the leaf. This means that your trees can lose all their foliage which gives an unappealing overall appearance to your house or neighborhood. 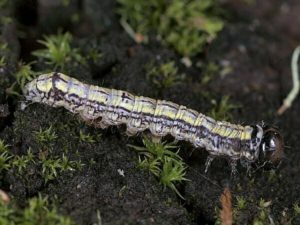 In order to avoid this, Ailing House Pest Management, Inc. can come to your rescue and tackle all your California oakworm problems once and for all. 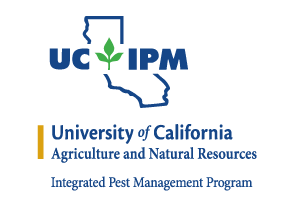 The team from Ailing House Pest Management, Inc. will visit your home or office at any time of your choosing and will provide a thorough assessment of damage along with a FREE estimate for California Oakworm inspection and treatment. We are the most experienced and trustworthy pest control service in the cities of Carmel, Monterey, Pacific Grove, and surrounding areas. For further details, visit our company website and get in touch with us to book a visit. Understanding the difference between termites and flying ants is crucial and a qualified Termite inspection service can help you achieve that easily. If you are someone looking to take a do-it-yourself approach to your pest control needs, having the right knowledge becomes even more important. Flying ants and termites resemble each other in their appearance but some key differences can help you identify which is which. 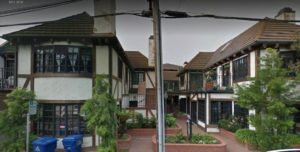 If you are a resident of Carmel-By-The-Sea, CA, looking for a reputed company to take care of your termite treatment needs, look no further than Ailing House Pest Management, Inc.
Termites are a major problem throughout the US but especially so in Carmel-By-The-Sea, CA and its neighborhoods due to the environment of this area. As per estimates, termites cause a damage of more than $5 billion per year and to further worsen the situation for homeowners, most insurance companies don’t cover damage caused by termites and flying ants. Termites have uniformly sized wings whereas flying ants have different sized wings from front to back. Termite wings are twice the size of their body. In the case of ants, the wings are in proportion to their bodies. Termite antennae are straight whereas ants have elbowed antennae. Even though these signs can help you differentiate between termites and flying ants but since they live underground and in the walls, you are better off using the services of a local termite control company which can detect telltale signs of their presence. The good news is; if you are reading this you are already in the right place. Ailing House Pest Management, Inc. is the top pest control service provider in the area and our coverage includes cities of Carmel, Monterey, Pacific Grove, and surrounding areas. For further details, visit our company website and get in touch with us. We will set up a free termite inspection for your home or office and devise a customized strategy to take care of all your termite issues!